Shares of Bank of India and Union Bank, which gained 7% and 6% respectively, were leading the index’s gain. Shares of Bank of India and Union Bank, which gained 7% and 6% respectively, were leading the index’s gain. Shares of PNB and Oriental Bank of Commerce rose 5% each, while those of Bank of Baroda, Central Bank, and Canara Bank gained 3% each. 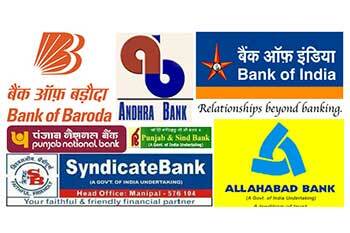 Shares of Indian Bank, J&K Bank, Syndicate Bank, and SBI also contributed to the index’s rally, rising 2% each. Meanwhile, the Indian rupee gained on Tuesday with appreciation of 19 paise to trade at day’s high level of 68.34 against the dollar. The home currency opened on a flat note at 68.53/$ unchanged from its previous close. However, the domestic unit is playing seesaw game with the Amercian currency and erased its morning gains.